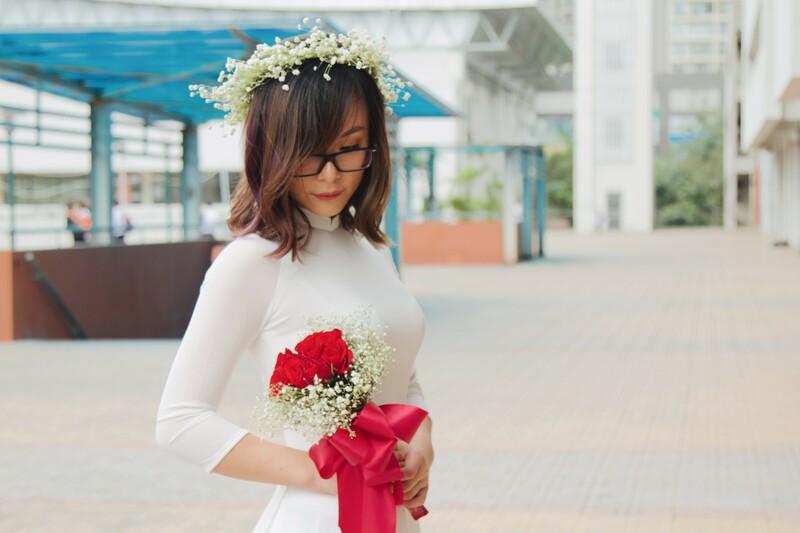 On the occasion of Vietnamese Teachers’ Day, Ams Wide Web had an interview with a former student who had spent 7 years under the roof of Hanoi - Amsterdam High School for the Gifted: Miss Ho Thi Mai Trang - an Amser of Class of 1017. Let’s listen to some of her earnest feelings! Interviewer: Hi Miss Mai Trang, as our first word, we would like to express our appreciation for your joining our interview today. Among your 7 Vietnamese Teachers’ Day spent in Hanoi - Amsterdam High School for Gifted Student, which one did you find the most memorable? Mai Trang (MT): I would say my most unforgettable 20/11 fell on November 20th, 2013 - when I was currently studying in ninth grade. I am not updated whether our school still hold a competition over which class creates the most visually pleasing poster. In that year, our class joined the competition and made an A0-size poster that resembled the look of a Facebook page out of printed pictures. That idea was not uncommon but it seemed the most suitable one for our class because there were neither many classmates who could write imaginatively nor people who could draw well. The poster was finished in only one day, but the whole class had to gather around the poster to get it done. It was a great experience. Our poster won the competition and the poster of each class was exhibited along the stairs. Interviewer: What implications did all those Vietnamese Teachers’ Day have on you and how did you mature from that? MT: Previously, I merely thought of 20/11 as a day when my parents deliver wishes to my teachers. Although at that time we were made to put on musical performances, I, as a primary student, did not see the full meaning of Vietnamese Teachers’ Day. As I grew up, I gradually acknowledged the significance of November 20th, for under the roof of Hanoi - Amsterdam High School for the Gifted, I , together with my peers, met teachers who truly loved and cared for us as if they were our family members. In our early years of education, most of us described our teachers as “my second mother/ father”, but it was not until we grew up did we realise how meaningful those words were. Then, it dawned on me that an amazing teacher was not necessarily someone who taught you many in academic fields but he/ she left you distinct life lessons that would never fade away. Furthermore, about how I have matured, the most distinguishable feature would be my change of mindset: I go to school to see my teachers and my peers, so I am attentive even in lessons I personally do not favor. You know, as a student, we usually prefer one subject to another, however, as I grow older, I feel motivated to go to school because I miss my friends. Interviewer: As we were informed, you have decided to study Economics - Education in Purdue University, USA, we wonder if it was a teacher who had inspired you to pursue a field related to education? Can you share with us something about that teacher? MT: I chose this field for many reasons. 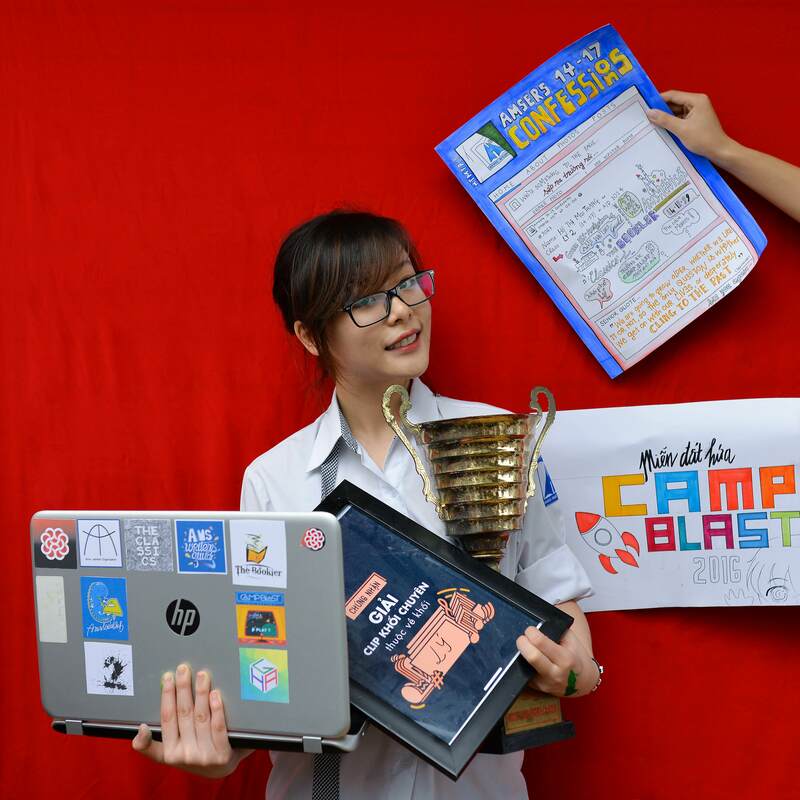 Throughout my years in Hanoi - Amsterdam High School for the Gifted, I developed a passion for disseminating my knowledge and I felt that I usually got on good terms with younger people. Undoubtedly, my decision was also greatly influenced by Ms. Nguyen Thi Thanh Binh - my homeroom teacher for my eighth and ninth grade. To be honest, I had written so many articles about her, on Ams Wide Web, in tenth-grade essays and in “Nhung ngay cuoi” (Last days) - an album displaying moments of my last days at Ams. Even now, whenever I wanted to write, I can still write long articles about this teacher. She showed me how love could alter a person, something so many people mentioned but only a few accomplished to get it across to me and made me understand their sincerity. This woman inspired me and guided me through my eighth and ninth grade, the time I had to confront enormous difficulties. It was not until later that I knew she had had to sacrifice a lot to protect and adore me. Above all, she was the only person who was in support of my pursuing my dreams when I was in grade 9, making me believe in my abilities. Even to this moment, whenever I feel disorientated or pressured, all I need to do to regain my composure is to make an arrangement to meet her. Then, my mood will be boosted right away and I will have the power to return to my unfinished intentions. With time, I realize that everyone need a home to return and someone to fall back on, who would remind you to preserve your dignity. In my case, that person is, without doubt, Ms. Thanh Binh. Interviewer: Have it ever occured to you to return to Vietnam after graduation, specifically to return to Hanoi - Amsterdam High School for the Gifted to contribute under a new role - as a teacher? 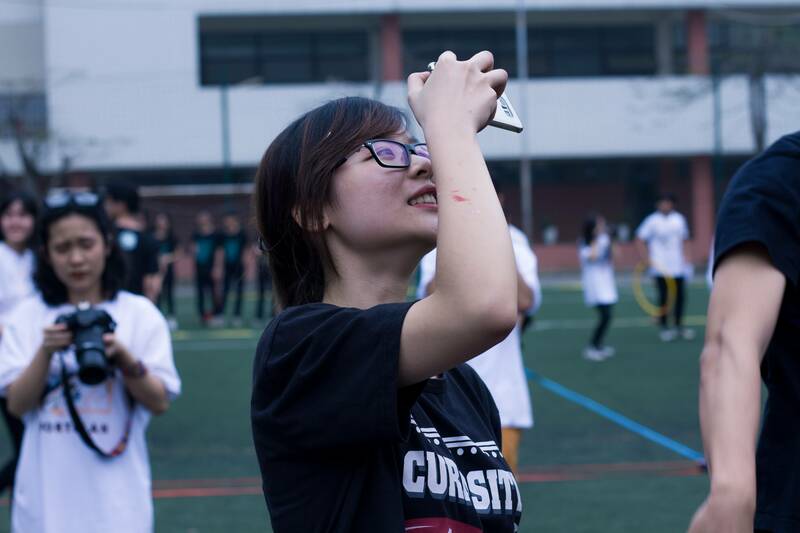 MT: As a matter of fact, it has long been my dream to return and contribute to our school for a longer period because I see 7 years is not sufficient. After a year away from Ams, from Hanoi, it finally hit home to me that all my accomplishments stem from my time here. All my characteristics are established here. Ams not only means a 5-hectare brick-colored campus but also includes its human - Amsers of all generations, teachers, genitors and security guards. Without Ams, there will not be today-me, therefore, I am deeply grateful for all the time I have had here at Ams. Everything that happens have an underlying story to it and for me, my decision to choose Ams as a destination for my secondary years proves to be a predetermined fate. I am greatly indebted to Ams and long to devote more to our school, even if it is only by spirit. Hence, much as I study overseas and my field does not focus on tutoring, I will unfailingly direct myself back to Ams, with a view to becoming colleagues of teachers I respect, to smiling broadly from afar at the sight of students majoring in Physics - the field I specialized in for my 3 years at high school, or to getting among the cheering at Ngay Hoi Anh Tai. 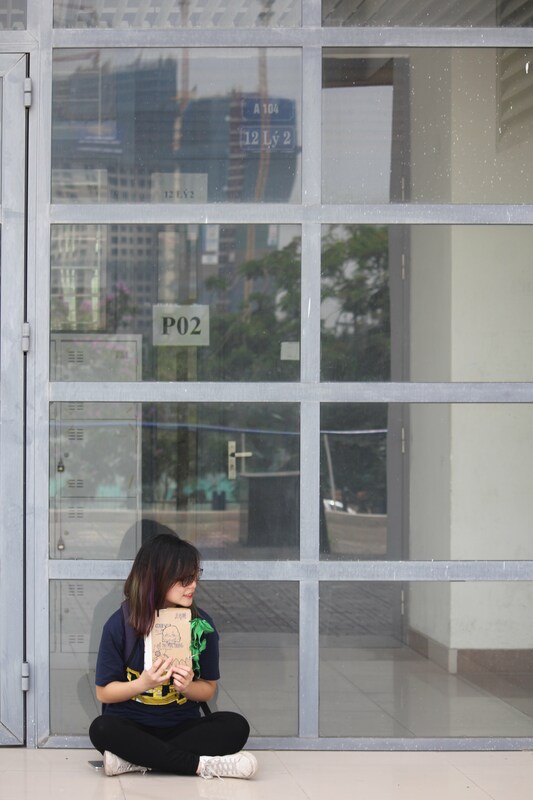 If I succeed, as I wholeheartedly hope I can, despite all adversities, I think I cannot ask for more. Interviewer: Do you want to send greetings or wishes to teachers and staffs currently working at Hanoi - Amsterdam High School for the Gifted? MT: To be honest, I have a lot to say here. Living away, my mind is filled with “if only” and I sincerely treasure my memories. To pupils who are currently studying at Ams, the message I want to deliver is to cherish every moment beside your teachers in Hanoi - Amsterdam. At college, or wherever later on, seldom will you be able to meet teachers who are equally dedicated, invariably caring, supportive and sympathetic. For that reason, on Vietnamese Teachers’ day, I would like to send my earnest wishes to all the teachers and officers working at Hanoi - Amsterdam High School for the Gifted. We students are at times disobedient, nevertheless, from the bottom of our heart, we hold you in high esteem and are grateful for your efforts, especially after we graduate. We would like to send our apologies if we have disappointed you, for mistakes that we made. Hopefully all teachers and staffs at Hanoi - Amsterdam will have a wonderful 20/11. On behalf of all former students, I hope all members of our faculty will always do your job well, will have more outstanding students and enjoy your time at Hanoi - Amsterdam High School for the Gifted. We miss you all very much. Thank you for your heartfelt thoughts. 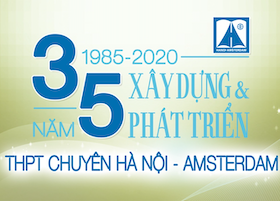 We hold the belief that with the knowledge you have accumulated at Hanoi - Amsterdam High School for the Gifted and the love from your teachers towards you and older generations of students at hand, you will continue to succeed on your path of realizing your ambitions and to pride yourself on having been an Amser. On behalf of Ams Wide Web, we wish you good health and success!